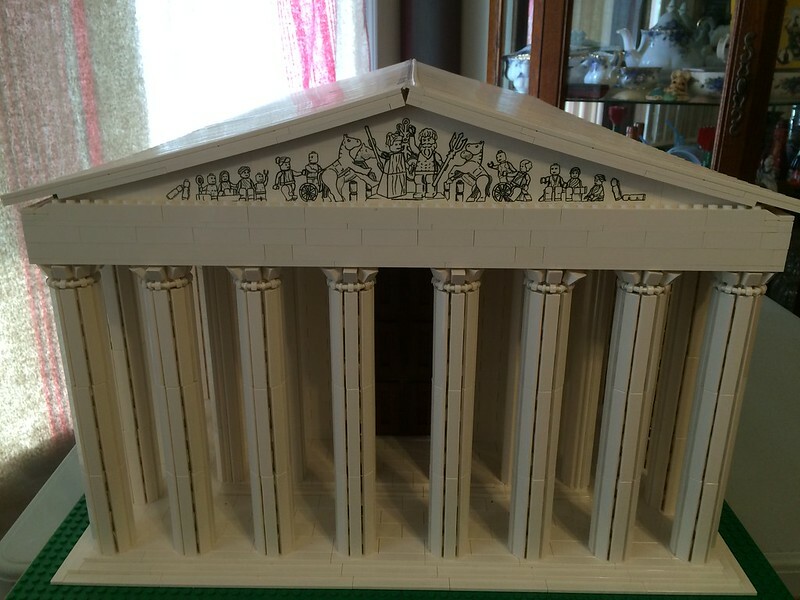 Well project was finally approved so now I built a full model scale of the front of the Parthenon to figure out the pitch of the roof and the area for the Graphic representation of the mural on the front. That is great news! The Parthenon is looking good. This is going to be pretty cool! Version 6 and the final version. Scale is as close as I can get with Lego at 1/2 mini figure scale and really happy with the size now. V5 was down to 48x100 dots and figured it was a little small.The caps of the pillars are missing but I do not have the pieces to make them. THE WHOLE THING LOOKS SO GOOD!!! Wish I could have made the art work stretch a little longer but I did not want a two piece sticker. Thanks again Adam! !